DENVER – Police are investigating an apparent, accidental shooting involving an off-duty FBI agent that happened on the dance floor of a night club in Denver's Lower Downtown neighborhood early Saturday morning. The shooting happened just before 12:45 a.m. at the Mile High Spirits club. 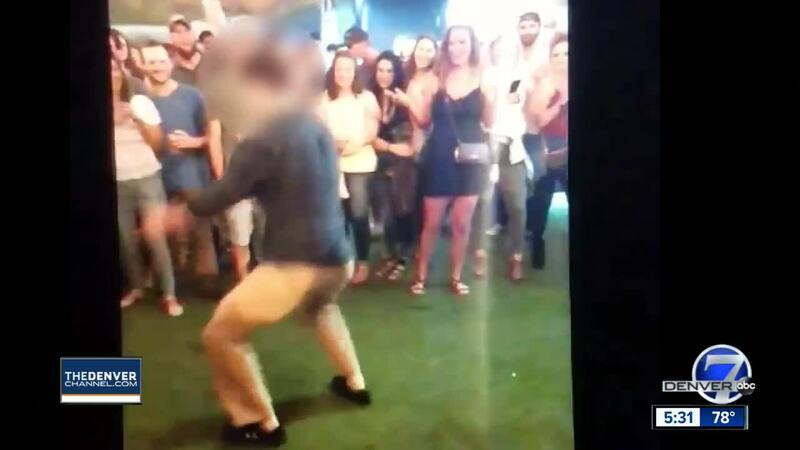 Video obtained by Denver7 shows the alleged off-duty FBI agent dancing around a group of onlookers before he executes a backflip. 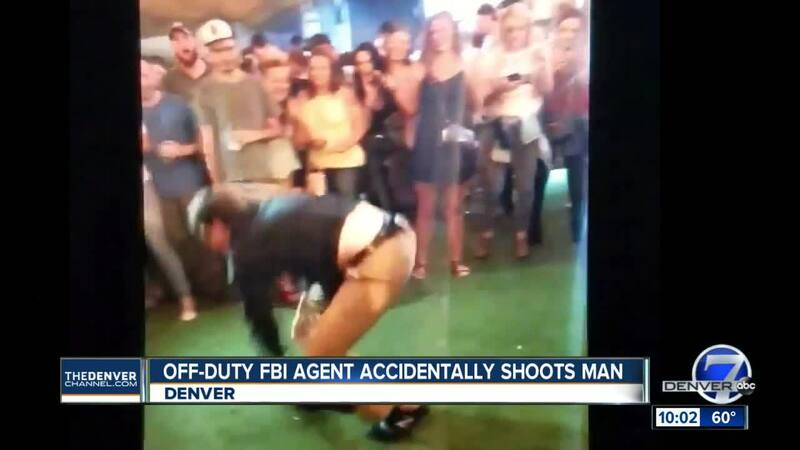 As the off-duty FBI agent flips, the gun is seen falling off from the man's holster onto the floor. The man is then seen jumping quickly to pick up the gun, but as he picks it up, he appears to fire the gun by accident. Some people in the crowd scatter for safety as others look in disbelief. The man then appears to put the gun in the back of his pants and is seen holding his hands up before walking away from the shot. A man was hit by the bullet in the lower leg and was taken to the hospital, where he was listed as having non-life threatening injuries. The agent was taken to Denver Police Headquarters and later released to a FBI supervisor. The incident is being investigated by the Denver Police Homicide Unit and charges will be determined by the Denver District Attorney’s Office, the police spokesperson said.